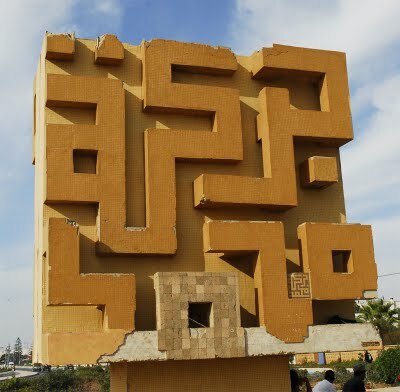 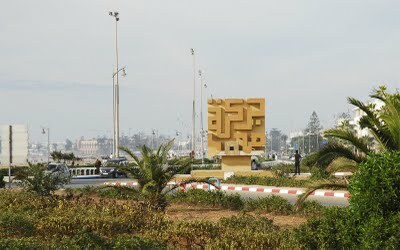 there is a big sandcoloured sculpture from 1978.
is a sacred term for the inhabitants of Essaouira and you can find this inscription almost everywhere in the town. 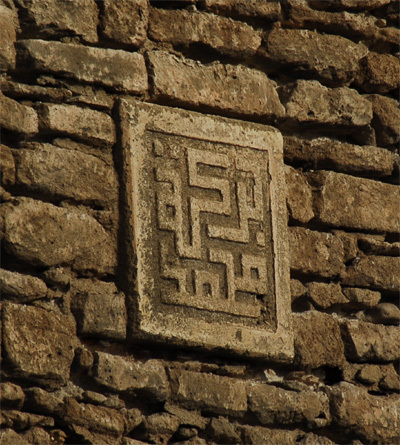 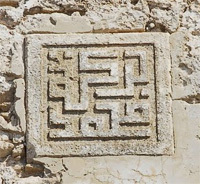 On the south wall of the east Scala Port tower , there is a carved inscription in sandstone. 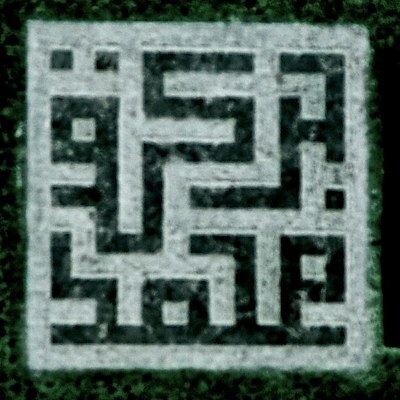 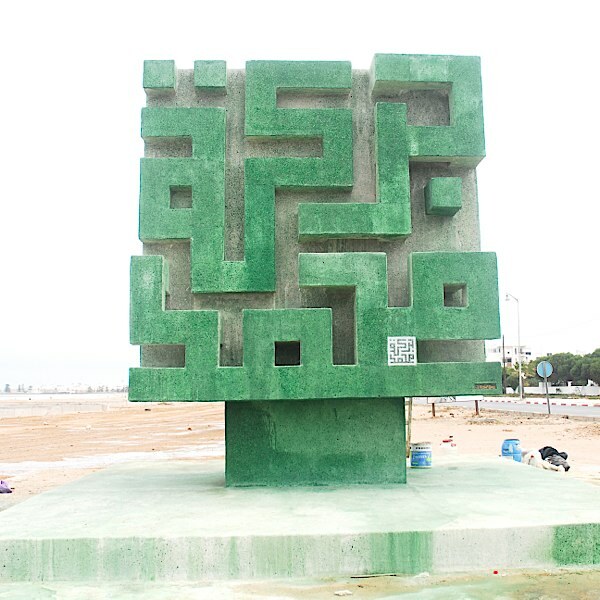 It is Arabic calligraphy and reads “Barakat Mohammed”. 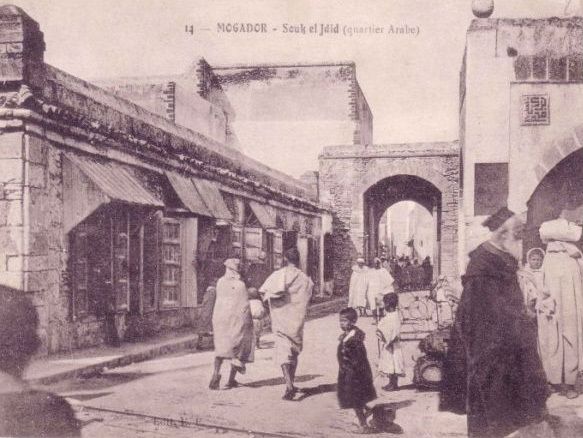 Other older names in berber are Tassourt and Amgader. 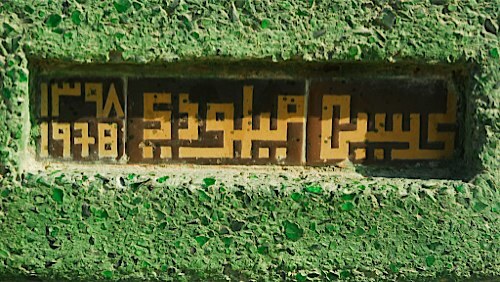 Barakat Mohammed renovated in June 2013.